Though I have a vast collection of fragrances amassed during my years of beauty blogging, there are only a few scents that I've been wearing long before I even knew what a blog was. Ha! Stella McCartney's Stella was one of those and still holds a permanent place on my vanity. As someone that never gravitated towards floral fragrances, let alone those with strong notes of rose, this was a huge departure from my signature style scents at the time. It was the balance of the mandarin essence and light peony flower with the rose accord that created the perfect composition. But from the first moment I sprayed it on my wrist, it was mesmerizing in it's appeal. It was feminine but not too "girly", bold yet not overpowering. In fact there was a period of time where I wore it every single day for a year straight. Friends and co-workers actually used to know me by the Stella scent and when I would change things up for a day or two, they would remark that I didn't smell like myself. LOL. Over the years, Stella has released numerous version of the original adding other complimentary notes to change the scent slightly. The most recent version is Stella McCartney Stella Eau de Toilette which is a lighter version with a hint of mandarin, lemon, freesia and an infusion of Bulgarian rose. Still after reading all the notes you may think it would be overly feminine, but Stella manages to keep her scents modern, alluring and ones that wear beautifully on the skin. Since this scent is a bit lighter it would traditionally be classified as a more spring scent but I can wear either of these all year long. And because I am a grown adult and can do what I want. Boom. While I still love to experiment with new scents and discover something unique, I still need that scent that will forever feel like "my scent". Stella will always be that for me. 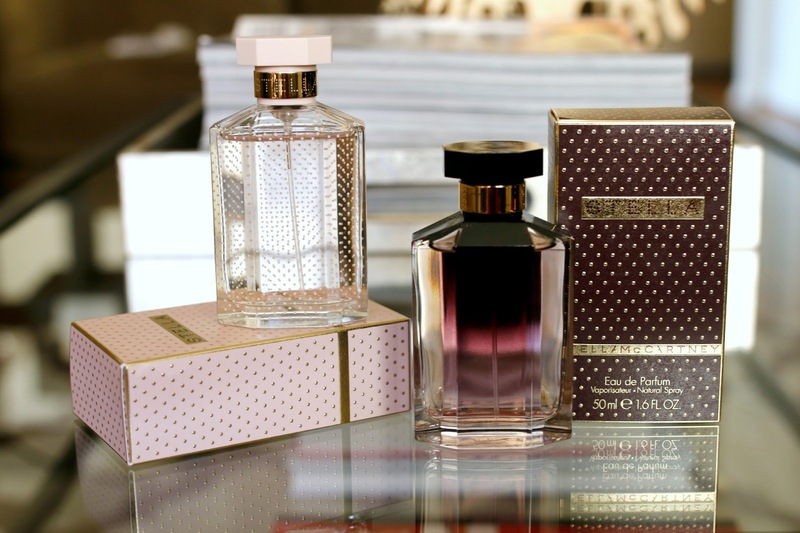 If you had to identify your signature scent, which one would it be? Leave me a comment below!